Nick has been training clients for over 10 years. He became interested in fitness while he was growing up playing lacrosse and wrestling. He has competed in powerlifting competitions and coached many fitness competitors and athletes. Nick has vast experience training all types of clients. He has worked with kids helping them lose weight or train for a sport. He has worked with seniors who need special instruction and care. He has worked with pregnant women and helping women lose all the baby fat. He has helped people rehabilitate their injuries and be able to exercise properly and safely again. He has worked with women who want to lose fat and tone up and he has worked with men who want to gain muscle and lose fat. Whatever fitness goal you may have, Nick has seen it and done it. Hi my name is Karl Lataillade and I’ve been working in the fitness industry for 9 years now. September of 2018 will mark my 10th year anniversary in fitness. I am currently training to become an amateur boxer. What I have noticed in the fitness industry is that the magazines and the internet present all these fitness fads that will pop up and recycle themselves under a different name, only to give you the wrong information. Weight loss and weight gain is really not a difficult process. I have the expertise and experience to get you there. But in order for you to have success in achieving your goal, I can’t do it by myself, it’s teamwork. You have to be as committed to reaching your goals as I am to reaching your goals. I have worked with all types of clients and have successfully helped them reach their goals. 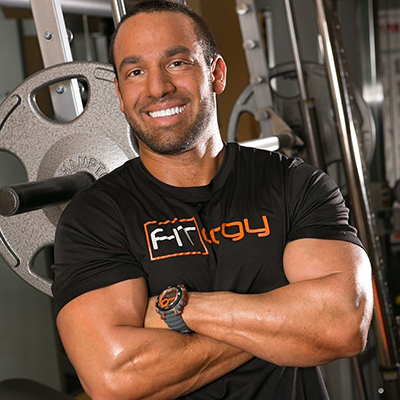 Adrian Nicotra has a long-standing love of fitness and a never-ending desire to learn, making him a truly dedicated and ever-evolving trainer. In his youth, he played various sports including soccer, basketball, and running track. At 16 he shifted his focus to Bodybuilding where he found his true passion for fitness. After years as a chef, Adrian decided to change careers to become a personal trainer, with the goal of providing a healthier life for himself and those that he may inspire. 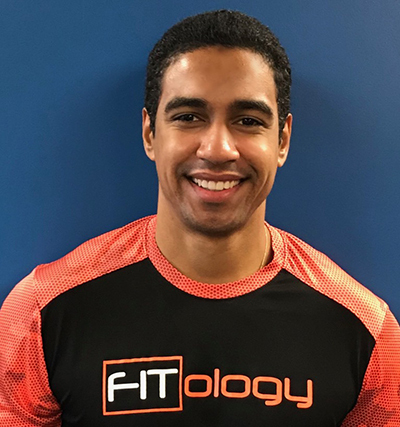 Adrian is a Certified Personal Trainer (CPT) with a Corrective Exercise Specialization (CES), and is constantly finding new ways to keep workouts challenging and exciting. With his education and years of experience, he focuses on improving clients’ functional movement patterns as well as helping them learn about and maintain a healthy lifestyle. 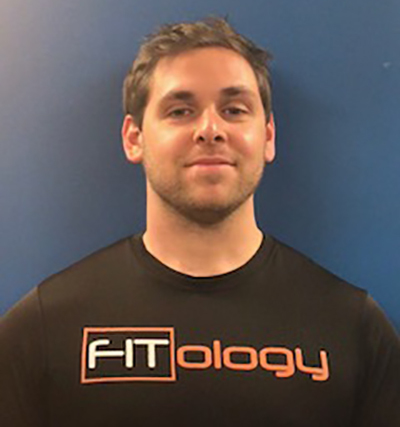 Adrian is currently pursuing a certification as a Human Movement Specialist through the Brookbush Institute, furthering his applicable knowledge for the everyday needs of his clients. 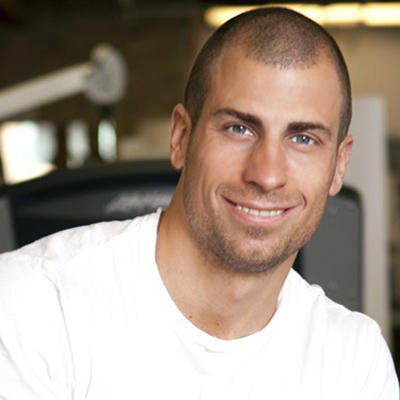 Aaron Aref is a certified sports nutritionist with over 8 years of experience under his belt. He has an extensive list of accomplishments with clients. He has helped dozens of bodybuilders get their pro card and become professionals. He has worked with high level athletes in hockey, rugby, and MMA. His clients include the 2013 badger state overall female physique champion and the reigning Mr. Asia bodybuilding champion. Aaron has an extensive background in experience with helping his clients reach their goals no matter what those goals may be. He has the ability to work with the full spectrum of body types due to his years of experience in the field. Former dancer and cross country athlete, now Powerlifter and Kickboxing alumni, Mae grew up in a family of bodybuilders where nutrition and exercise were as important as air and water. 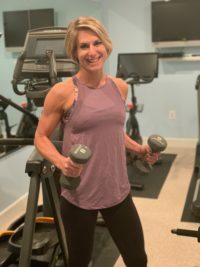 Passionate about Fitness and strength training, she became a NASM Certified Personal Trainer to make her dream of helping people get in shape come true. Mae doesn’t believe in pills and magic diets, only in hard work and consistency. She also takes pride in helping women get comfortable with lifting weight and getting stronger. She believes working out goes beyond the physical appearance, it is a natural medicine for the body as it is for the mind. Exercise and fitness have played a major role in Bonnie’s life since she was young, when she was a competitive runner and softball player. After three back surgeries, including a lumbar fusion, Bonnie’s passion for fitness has expanded to include body-awareness, physical and rehabilitative health, and a more holistic approach to wellness. Bonnie began teaching boot camps with Fitness Stop in 2014, and continues to enjoy sharing her enthusiasm and energy with those she trains. In addition, Bonnie is an attorney and is earning her Masters in Social Work, with a focus on workplace wellness.